TROUBLE IN TIBET- ONE BELT, ONE ROAD OR OBOR POLICY STANDS FOR RED CHINA’S IMPERIALISM AND NEOCOLONIALISM. Red China’s Chengdu-Lhasa Railway Project serves just one purpose; Security of Tibet’s military Occupation. Red China’s Policy of “ONE BELT – ONE ROAD” or ‘OBOR’ Initiative, Solidarity Strategy stands for her Imperialism and Neocolonialism. Trouble in Tibet – One Belt, One Road Policy of Imperialism and Neocolonialism. 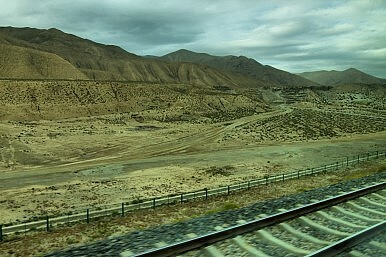 Chengdu-Lhasa Railroad secures military occupation of Tibet. A newly planned railway linking Tibet with central China will serve to provide stability for the Belt and Road. It is no secret that Tibetan independence movements have long drawn the ire of Chinese authorities. Alongside heightened rhetoric in recent years over Tibetan unrest and the growing publicity of riots and self-immolations, China has sought to augment its capacity for crackdown in the restive province. The swiftness of Chinese response to previous swells of separatist sentiment is best illustrated in the 2008 Tibetan unrest. During that time, the BBC reported that within days of the start of anti-government riots, over 400 troop carriers of the People’s Armed Police were mobilized. Ultimately, the speed with which the Chinese government was able to ferry troops into sites of unrest was a crucial factor in quelling the upheaval. 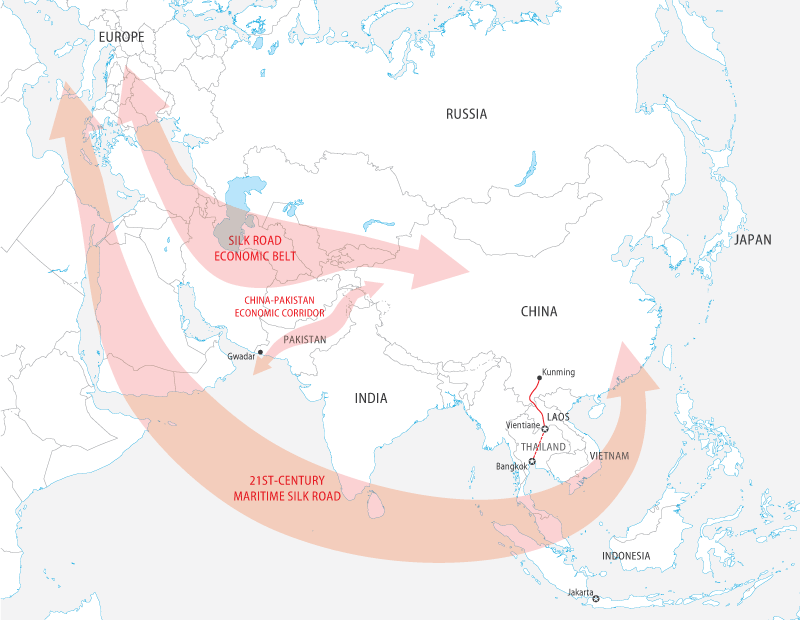 In more recent times, China’s “One Belt, One Road” (OBOR) policy – Xi Jinping’s plan to expand the reach of Chinese trade routes to Europe through a land route in Central Asia and a sea route through the Indian Ocean and around the horn of Africa – has taken center stage as a cornerstone of modern Chinese foreign policy. Access to Pakistan and Central Asia are crucial to ensure the success of these trade routes, which incidentally must start or pass through Tibet or Xinjiang, historically separatist provinces. This has put particularly urgent pressure on the Chinese government to bring stability to its westernmost regions. 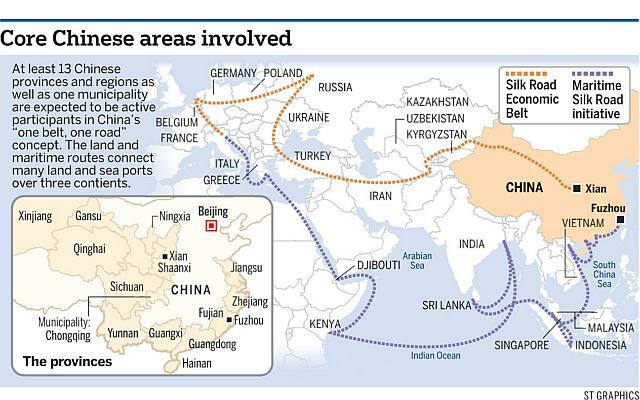 Furthermore, the implementation of the OBOR policy comes at a critical time for China. Recent downturns in economic growth and output have put leaders such as Xi Jinping in a bind, spending a great deal of political capital to restrict and cripple any seeds of social dissent. On a geopolitical level, ensuring robust strategic control over Tibet has never been more essential, for both propaganda and economic reasons. With that said, China’s newly planned Chengdu-Lhasa railway – over 2,000 km of tracks – would serve as a crucially efficient connection between Sichuan province in central China with the heart of Tibet. The construction of the railway was recently announced; such an infrastructural feat would facilitate rapid travel between the two locations, bringing a multi-day trip down to just fifteen hours. A recent report by The Economist cited a Chinese expert as saying the railroad could be feasibly completed by 2030. The implications of this railway’s construction are particularly diverse, but they all center on a particular purpose: expedited control. In an age where social media platforms such as Twitter and Facebook can cause riots to explode into revolutions overnight (see: the Arab Spring), China must ensure that its ability to quickly muster a physical military presence can match the speed of modern rebellions. The Chengdu-Lhasa railway provides a means of quickly mobilizing armed forces and also facilitates the movement and migration of Han Chinese from more central regions of China into Tibet, a policy that China has long pushed in order to smother ethnic dissent. This is not the first time that China has used “railway power projection” to assert its power in Tibet or Xinjiang. However, it is the most recent and the most ambitious project thus far. Most importantly, the timing of this undertaking highlights the effort and investment that Chinese leaders are willing to make to ensure that the crossroads of its budding OBOR policy remain firmly under Chinese control. Tibet is an important starting point for the China-Pakistan Economic Corridor (CPEC) and an equally important entryway to the Central Asian states where trade through the Caspian, Caucasus, and to Europe must begin. As such, the construction of the Chengdu-Lhasa railway is separate from previous Chinese attempts to quell separatist movements. This time, there is much more at stake. The railway plays an important duality in optimizing China’s foreign and domestic geo-policy today: the necessity of political stability within its borders to ensure economic success from the outside. Justin Cheung is a student in Stony Brook University’s 8 Year BE/MD Engineering Scholars for Medicine Program. He has been published in the Center for International Relation’s International Affairs Forum as well as in Soft Matter and ACS Macro Letters. Trouble in Tibet – One Belt, One Road Solidarity Strategy Reflects Red China’s Policy of Imperialism and Neocolonialism.